Lock in a great price for Hotel Aloe Canteras – rated 8.6 by recent guests! Rooms are very clean and pretty but what i really loved about my stay was the staff. The receptionist was the kindest, most professional person I've met in my life. Absolutely superb service. Clean, great location, very comfortable bed and cool, modern design. Everything! Especially the staffs. Left some stuff in the fridge when checked out and they were so nice to help collect and keep them for us to take back. I got a room with a view of the beach and the walk to the beach only took seconds. The staff was really friendly. Great location, transportation available very close, clean, friendly staff, great breakfast. We had a good time, and the photos online were fairly good, but for what we paid I did expect a balcony not looking at a building site. The location , friendliness of the staff and cleanliness. Nice place. Good balcony view, cozy bed, near the beach. 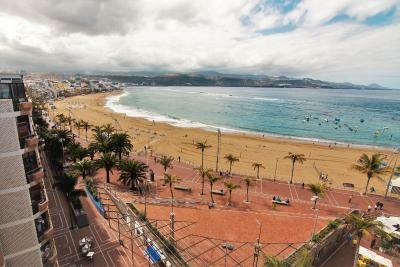 Smaller sized hotel in a great location, overlooking Canteras beach and with an easy walk to a wide range of bars and restaurants. 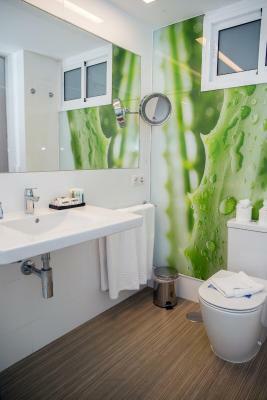 Our room was well proportioned, with a clean and modern design, but at the same time comfortable. It had all the facilities we needed, not to mention a balcony with sea view. The staff were universally friendly and helpful. 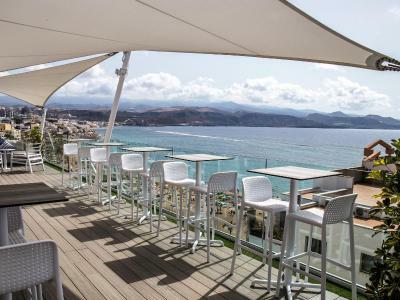 There is also great rooftop bar with fantastic views over the bay. 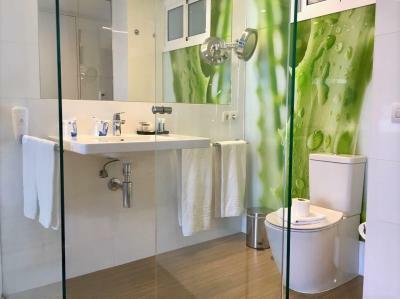 Hotel Aloe Canteras This rating is a reflection of how the property compares to the industry standard when it comes to price, facilities and services available. It's based on a self-evaluation by the property. Use this rating to help choose your stay! 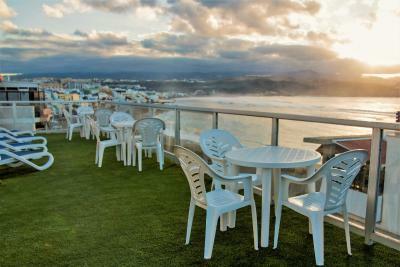 One of our top picks in Las Palmas de Gran Canaria.Hotel Aloe Canteras features a sun terrace overlooking Canteras Beach, just 100 feet away, in Gran Canaria’s capital, Las Palmas. Most of the bright, modern rooms offer front or side views of the Atlantic Ocean. Hotel Aloe Canteras rooms come with a TV and work desk. 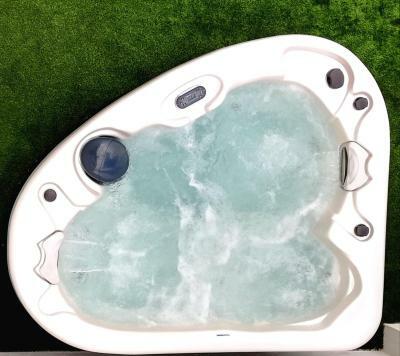 There is a safe and a small fridge, and the private bathroom is equipped with a hairdryer and amenities. The hotel has a TV lounge and offers an internet corner with free WiFi. There are vending machines for drinks and snacks, and the central location means there are many bars and restaurants nearby. Hotel Aloe Canteras has a 24-hour front desk and you can hire a car. Parking is available nearby for an additional charge. When would you like to stay at Hotel Aloe Canteras? This spacious room has a flat-screen TV and a private bathroom with a bath, hairdryer and free toiletries. This spacious room offers frontal or side sea views. This bright triple room has a flat-screen TV and a private bathroom with a bath, hairdryer and free toiletries. House Rules Hotel Aloe Canteras takes special requests – add in the next step! Hotel Aloe Canteras accepts these cards and reserves the right to temporarily hold an amount prior to arrival. The location is one of the greatest advantages of staying in this hotel. Also, the rooms are pretty spacious, with plenty of storage space. The plasticky "hospital" sheet in the bed ruined the otherwise very comfy bed; I can understand why the hotel might want to have them but it's not something you'd expect from a hotel of this price range. Also the fridge in the room was broken and replacement was delivered the last day before my departure so it was bit disappointing - but fortunately not the warmest time of the year so not the end of the world. No "do not disturb" sign available in the room so couldn't stop the housekeeping from barging in in the mornings. Friendly staff at the reception and in the housekeeping. Room was spacious and quite modern. Great shower. Spacious bathroom with 2 sinks. Location next to the beach and all the services is perfect. Nice breakfast. Breakfast was only average for the price with very poor quality coffee. 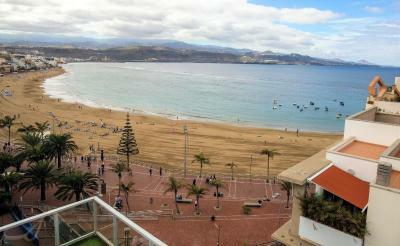 My partner who is Canarian drank coffee outside the hotel instead of in as considered it so bad. The bathroom design with loose fitting class doors left no privacy. Not value for money. Smaller than expected for a suite. Diagonal views of the beach and fair view but different from pictures shown online. Excellent staff. Very friendly and attentive. Staff made the stay excellent!! Lovely modern spacious bathroom, and spotlessly clean. Although a separate room, its design provided a level of intimacy that might not suit everyone ... very new couples may wish to bear this in mind! The hotel is bordered by pedestrian areas either side, so there is a little bit of noise first thing in the morning from street cleaning and local business deliveries, however we found that we very soon stopped noticing this. We were on floor 7 in the suite and the outdoors bar on level 8 was v noisy until 1.30am which was quite annoying. This despite 2 calls to reception! Lovely suite fantastic beach views, easy for cafes restaurants and sunbathing! Lovely vibrant area . View of beach and good location. We would have preferred a bit more privacy in the bathroom ! Maybe frosted glass between the bedroom and bathroom. We really enjoyed the breakfast, lots of choice and plenty to eat. Also liked the roof top bar for drinks and the view.